And there you have it. This sad attempt at a self portrait perfectly demonstrates all of the reasons why I am NOT a personal style blogger. 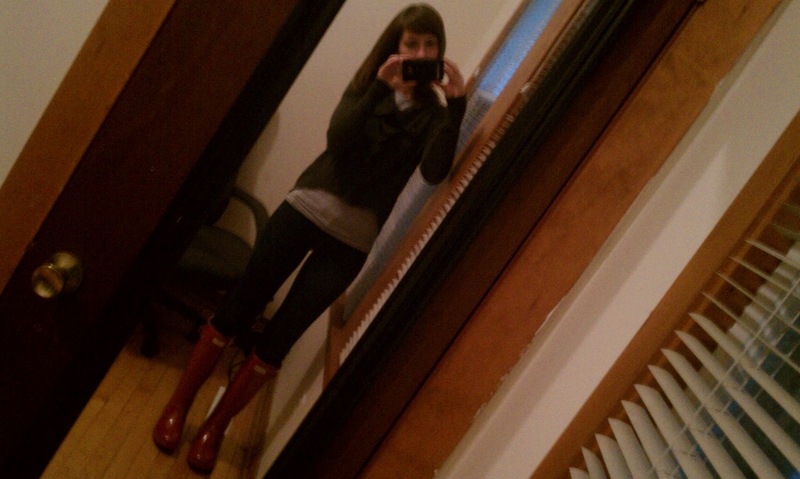 This entry was posted in Random and tagged Carlie, Carlie Crash, FEBphotoaday, hunter boots, self portrait by carlieblissirwin. Bookmark the permalink. LOVE the boots! And the rest of the outfit…you are always so cute and stylish!